RUSAL is a leading, global aluminium producer. The company’s main products are primary aluminium, aluminium alloys, foil and alumina. RUSAL is a completely vertically integrated aluminium company with assets right through the production process – from bauxite and nepheline ore mines to aluminium smelters and foil mills. This provides RUSAL with exceptional operational flexibility and enables it to control every stage of the manufacturing process and ensure the highest quality of products. Rusal Degassing Unit from AdTech China(sales@adtechamm.com) which is an enterprise specialized in new material development and high precision online degassing unit production since 2012, got positive feedback from domestic and overseas market. Rusal Degassing Unit lining has good thermal shock resistance, is resistant to chilling heat, has a small coefficient of thermal expansion, and maintains a stable shape at the working temperature. It has excellent non-wetting properties with aluminum. The aluminum liquid does not stick to aluminum after flowing, and is easy to clean and durable. Good properties, good surface strength, aluminum-resistant liquid scouring, corrosion, no moisture absorption, no aeration of aluminum liquid, lower density than aluminum, good chemical stability, no reaction with aluminum at working temperature. 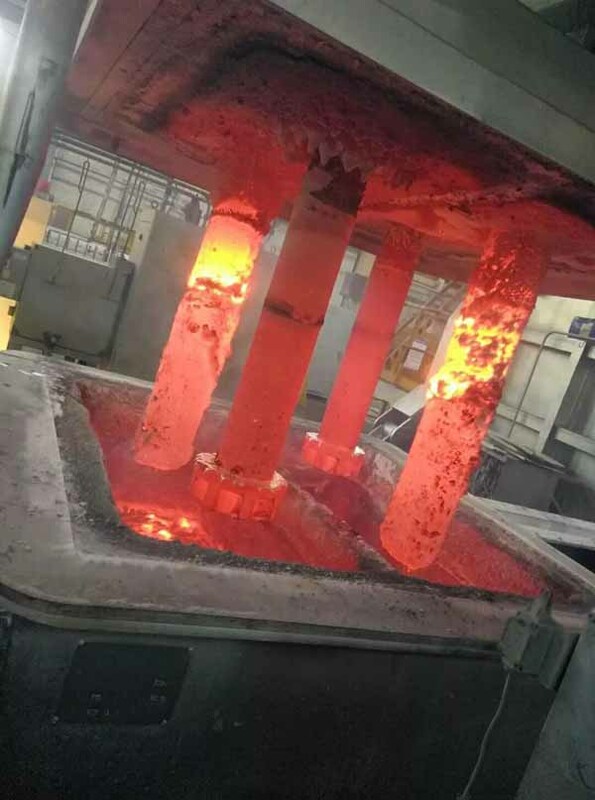 Rusal Degassing Aluminum adopts advanced high silicon melting technology to get a long service time, degassing rotor, heater protection thimble and thermocouple protection thimble adopt ceramic manufacturing technology which can meet producing high-precision aluminum requirements. It is mainly used for the hydrogen (H) and slags removal from molten aluminum. Switch off the heating unit after degassing box heating completed. Guide inert gas into rotor and release molten aluminum into the box when the heater temperature is closed to molten aluminum temperature. Check the sealing between inlet/outlet and launder. Check the cone located in heat protection draining in the bottom. Check the molten aluminum temperature (min 720°C). Make the height of molten aluminum which be away from launder bottom at 3cm for observing the molten aluminum going into the box. Operator shall wear protection clothes to close the cover. The slag on surface can be skimmed through the deslagging outlet when the molten aluminum flows into the box. Start production when temperature up to 780°C. Close deslagging outlet for heating preservation. Molten aluminum can be retained in the box with setting temperature during the heat preservation phase but with no molten aluminum handling. Guide inert gases into the rotor to prevent air outlet blocking by molten aluminum. Switch on the heater as soon as molten aluminum flow into the box completed and set heat preservation parameters. Starting the heating system, control the temperature of the molten aluminum, monitor the gas flow rate, the speed of the rotor is changed from the heat preservation stage to the processing stage. At the same time, the inert gas flow into the rotor increases and the gas flow rate is changed from the preservation stage to the processing stage. Operator sets molten aluminum heating temperature, maintain a stable degassing working condition. Rusal Degassing Unit and lining material are high-silicon melt materials, which are characterized by low heat-shrinkage shrinkage and molten silicon has a very good resistance to thermal shock. Rusal Degassing Unit lining material is added with some materials that do not invade the aluminum liquid to ensure its service life. The process uses “microporous insulation material”, and the high-efficiency heat insulation material makes the filter box lining after continuous use, steel The surface temperature of the structure is low and the deformation of the inner liner is small. Customers can customize the lining of the aluminium degassing machine according to their needs. The Rusal Degassing Aluminum lining has high hardness, low expansion coefficient, good thermal insulation effect, strong anti-wear and anti-corrosion performance.